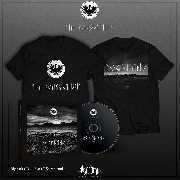 Exclusive digipack CD + T-shirt bundle. Fruit of the Loom Valueweight t-shirt with large front and back prints. Norwegian black/thrash THE KONSORTIUM, feat. bassist Teloch(Mayhem, ex-Orcustus, ex-Gorgoroth, ex-1349) and drummer Dirge Rep (Orcustus, ex-Enslaved, ex-Aura Noir), re-emrge with a new studio album after seven years since their Norway-charting, self-titled debut album "Rogaland". 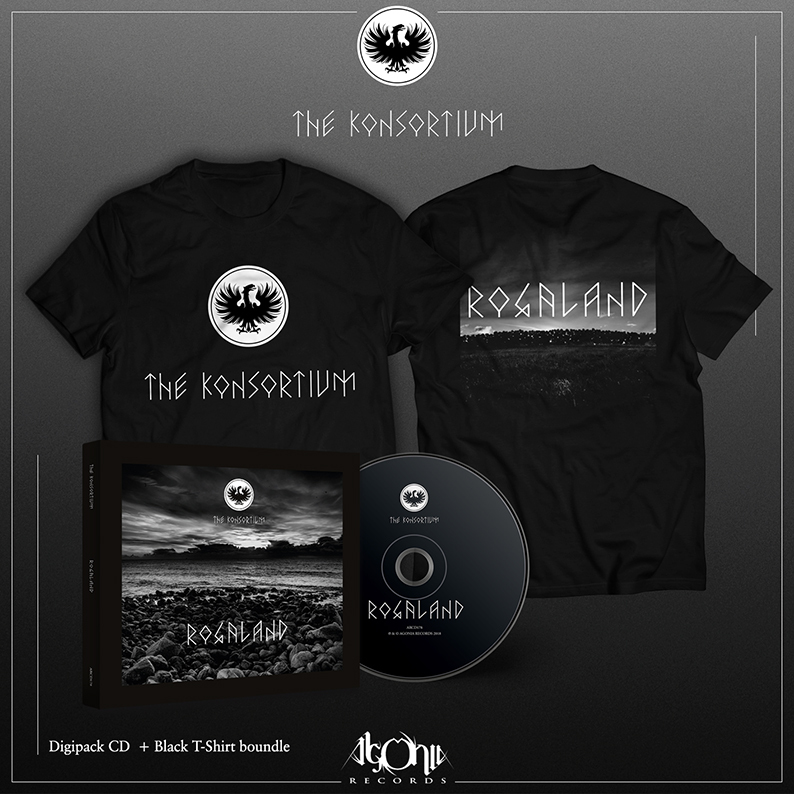 Named after a county in Western Norway, "Rogaland" sees the band taking a different turn from its self-titled predecessor and critically acclaimed 2008 demo combined, following a more complex and technical trajectory. The band has taken the utmost care in every detail to channel and bring forth the forces of their album’s namesake, with vocals recorded and lyrics written on site in the woods, in the mountains and on the Northern shores. Nature-inspired and folk-tinged, it's the kind of album that rewards each new listen, and progressively reveals its secrets. "This album has been a long time coming," founder and mastermind Fredrik G. Fugelli explains. "The process has been tedious and time-consuming, but in the end it has definitely been worth it. Everything clicked and fell into place; from vision to finished product, each and everyone involved has delivered their best. I feel confident that we’ve managed to define and refine the material in such a way that we ended up capturing the essence of what the album tries to convey: the timeless battle and coexistence between man and nature; the old magic and the bond that is lost in a modern and controlled world, void of spirituality. 'Rogaland' is a strong affirmation of roots, and a damn well executed one, at that". Drummer Dirge Rep adds to that, saying: "It's the most technical and demanding album of my somewhat 25 years under Black Metal. I am extremely grateful for the honor of performing under The Konsortium and dedicated myself in entirety to the excellence of the work, its will and its energy". Not only does The Konsortium return with new music, but they return in style, too. Unmasked, the Norwegians finally shed light on their identity - we have the aforementioned F.G. Gugelli (vocals, guitars), famed black metal veterans Teloch(bass) and Dirge Rep (drums), followed by the talented T. Jacobsen and B. Waldejer (both on guitars). Together, they journey through the wild and untamed, the harsh darkness and the bewitching cold that is "Rogaland". "Rogaland" was mixed and mastered by Gomez at Orgone Studios (Paradise Lost, Ulver, Grave Pleasures, Primordial) and produced by F.G. Fugelli. 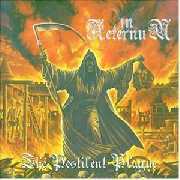 The cover artwork and layout were designed by Trine+Kim (Ulver, Darkthrone, Virus). Cpt. Estrella Grasa (Nidingr) guest appears on vocals on tracks "Skogen"and "Arv".